. Havas also recently secured big wins such as Oroton, Seafolly, Tony Bianco and Sunrice. H/commerce's founding clients include Nescafe, Supercoat, Uncle Tobys, Lurpak, Energizer and Liquor Marketing Group. Havas Group ANZ chair Anthony Freedman said H/commerce brings it closer to its goal of providing end-to-end marketing solutions for clients. “We know the retail and shopper environment has a number of nuances and complexities,” Freedman said. The new entity brings together retail consulting, creative, shopper, media and data experts from around the world to create an international retail hub across Havas’ network. 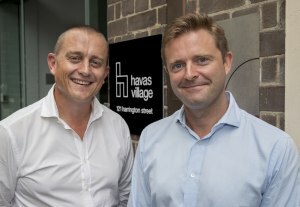 It's the first dedicated commerce offering to launch across Havas in the APAC region, with its current operation of BD Network evolving to include responsibilities within the Sydney Havas Village. The entity also has access to Havas’ data and expertise, allowing it to use analytics to study shopper behavioural dynamics and identify insights to aid decision making. Porter and Hoskins said they aspire to deliver integrated strategies and solve business problems with creative ideas. “The likes of Amazon and Alibaba have spearheaded the rapid transformation of the global retail landscape and provoked brands and companies to rethink how they navigate it,” Porter and Hoskins said. H/commerce currently operates in Belgium, Spain and France with plans to extend across Europe and Asia later this year. Havas Group has launched a new strategy advisory offering to support brands and retailers with sales. The new arm of the Havas Group business, called H/commerce, is led by retail experts Simon Porter and Tom Hoskins. Porter steps in as MD of the new business while Hoskins is the executive creative director. Havas said H/commerce takes a “holistic view” of the retail environment, with services including developing shopper and data strategies, store design and execution, CRM and loyalty programmes, e, v and m-commerce and future innovation consultancy. The agency provides global, regional and local retail and shopper insights for brands to navigate retail marketing, with a focus on providing clients with strategic and creative solutions. It comes as the Havas continues to build its retail capabilities, after acquiring shopper marketing agency BD Australia. Havas also recently secured big wins such as Oroton, Seafolly, Tony Bianco and Sunrice.